Home / Support / Documentation / RSBaraka! 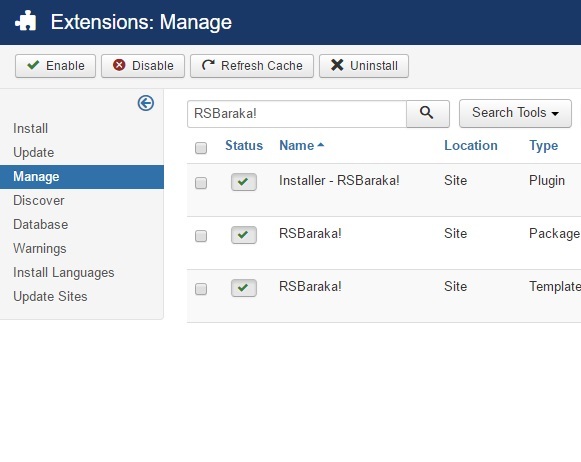 / Installing and Uninstalling / Uninstalling RSBaraka! 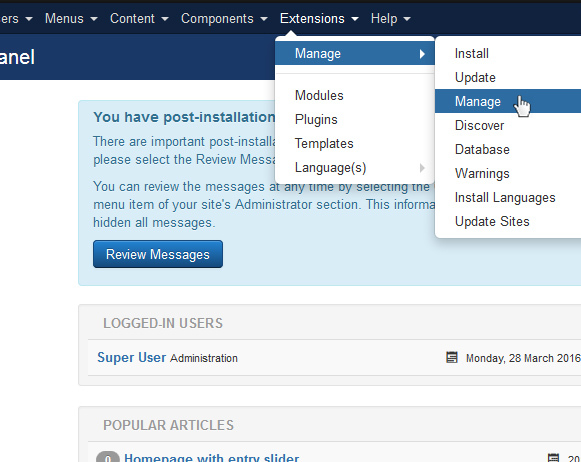 Click on the Manage tab, filter by templates and search for RSBaraka!, select the RSBaraka! 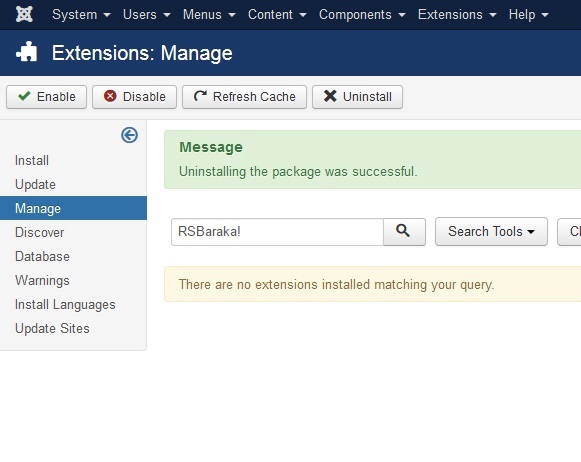 Package and click on Uninstall (the image only shows results for RSBaraka!). If you encounter problems when uninstalling RSBaraka! check out the Manual uninstallation guide.